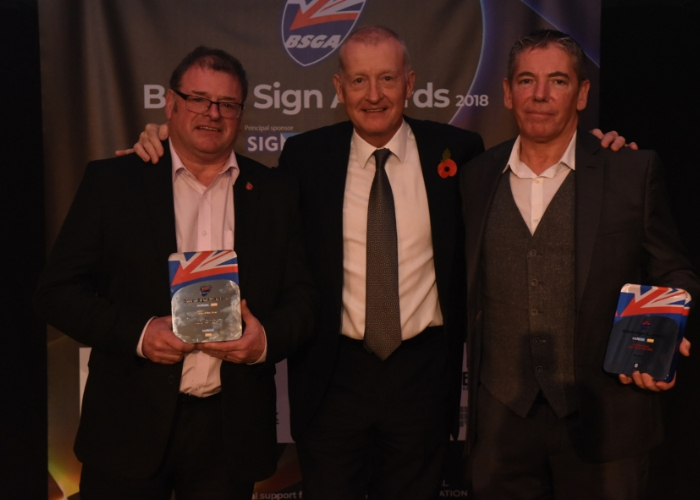 Nearly 300 sign industry professionals gathered at the Athena Centre in Leicester on Thursday (Nov. 8th) for the annual British Sign Awards and were able to toast some of the best work completed by British sign businesses over the past year. A total of 15 awards were presented, covering every aspect of sign making, from traditional crafts through vehicle wraps and interior décor to large scale, highly engineered signs. The final award, the Sign of the Year, went to Blaze Signs for their work at the Grafton Centre in Cambridge. The project consisted of 30 giant ‘lifestyle’ lightboxes, each featuring an individually designed, laser-cut, fret-work panel with a specialist Analok anodised finish. 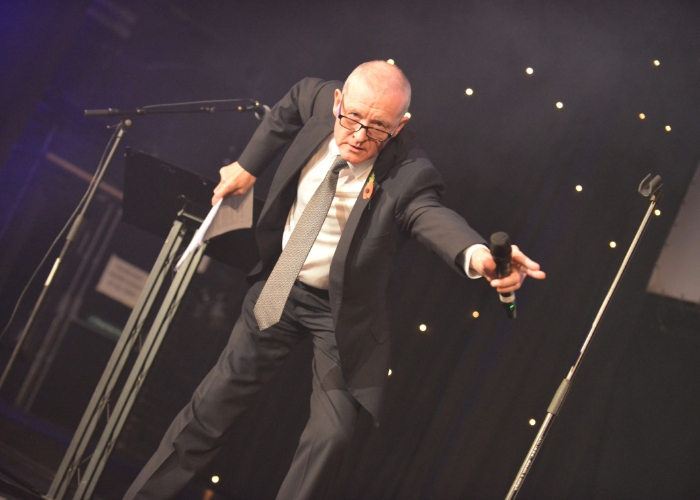 Guest speaker at this year’s event was ‘The Legend’ Steve Davis, six times World Snooker Champion, who was a huge success with the audience and, with the assistance of BSGA Director David Catanach, kept the presentations of the awards flowing smoothly. The event also provided an opportunity to introduce the new affiliation between the BSGA and ISA – the International Sign Association – to form ISA-UK. 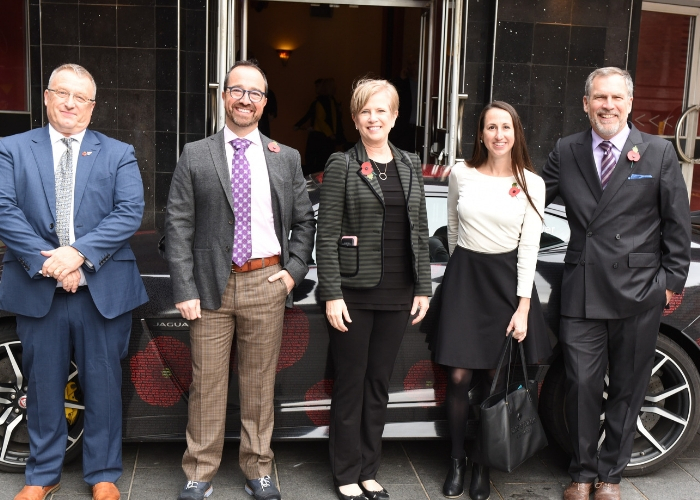 Three members of the ISA Management team – Lori Anderson, President and CEO, Brandon Hemsley, Chief Operating Officer and Kelly Miller, Director of Meeting and Events together with Bob Mattatall from the Sign Association of Canada – travelled from Washington DC specifically to support the event. Lori was also able to explain some of the advantages the new affiliation, which officially launches on January 1st next year, will provide to members. The ISA contingent also had a surprise for everyone, including the BSGA, at the end of the show. During the unveiling of the Sign of the Year award winner, Lori Anderson interrupted proceedings to announce that ISA would fund a trip for the winner to visit the ISA International Sign Expo in Las Vegas next April. Blaze Signs for the Grafton Centre, Cambridge. DMA Signs, Signs Express (Exeter).